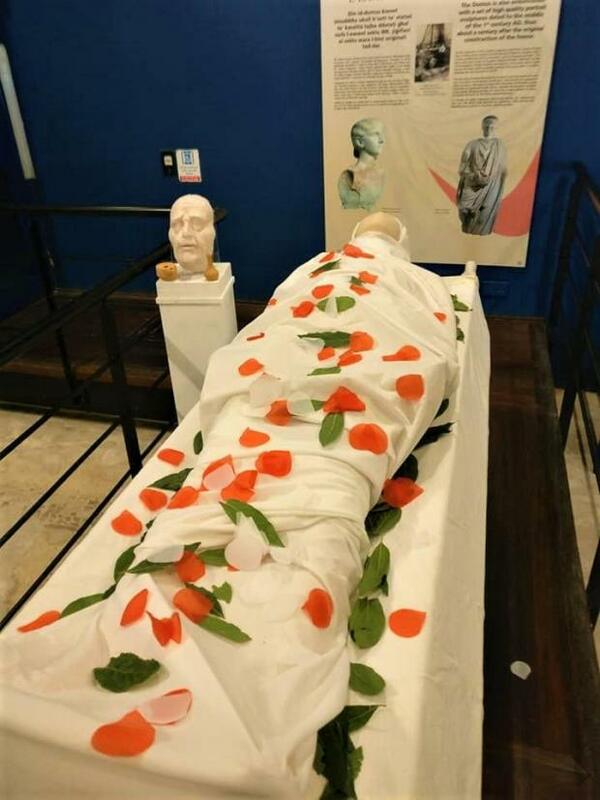 The ‘body’ of a deceased Roman aristocrat has been put on display for public viewing in a prominent part of the Domus Romana in Rabat, in an innovative reenactment organised by Heritage Malta. The funeral will take place on Sunday, leaving the Domus towards St Paul's Catacombs, where he will be laid to rest. Heritage Malta is inviting the public to participate in this Roman’s last journey and in a day full of activities during the event Mortem. Mortem is inspired by the nine-day ancient Roman festival Parentalia which occurred from February 13 to 21 in honour of the ancestors and departed loved ones. During these celebrations, Romans and early Christians renewed funerary rites and hosted commemorative meals known as the refrigerium or agape, at the catacombs. The event is offering an immersive experience to adults and children. 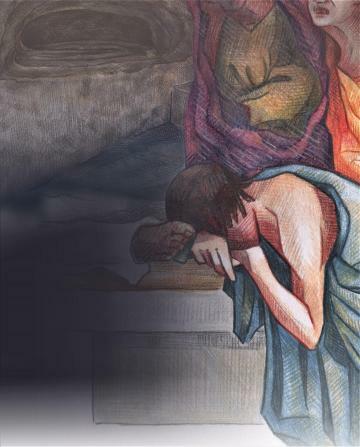 Participants can engage in an ancient Roman funeral, taste food based on recipes from that period, join in the excavations with archaeologists, take part in a treasure hunt, and view at close range with the senior curator some of the artefacts at St Paul’s Catacombs museum. A highlight theme is the 3D room, which will be open to the public for the first time on Sunday. Here, one will be able to experience and navigate through the 3D models of a number of catacombs without the need to actually go down to the catacombs. 9.30am Lecture (in Maltese) - The Gods of Death. The Death of Gods. Location: Children’s Pavilion, St Paul’s Catacombs, Rabat, Malta. 10am Children’s Treasure Hunt. Location: Children’s Pavilion Plaza. 11am The Roman Funeral re-enactment. Location: Starting from Domus Romana and proceeding to St Paul’s Catacombs. Noon Legio X Fretensis soldiers re-enactment. Location: Central field. 1.30pm ‘Open the showcase’ - the Senior Curator of St Paul’s Catacombs will discuss archaeological artefacts from the museum with the audience. Location: Visitor Centre. 3.30pm The Roman Funeral re-enactment. Location: Starting from St Paul’s Catacombs and proceeding to St Augustine's Catacombs. Catacombs will be open from 9am – 5pm (last admission 4.30pm). For this event, admission price to St Paul’s Catacombs will be reduced to €2, and will include access to St Augustine’s Catacombs.